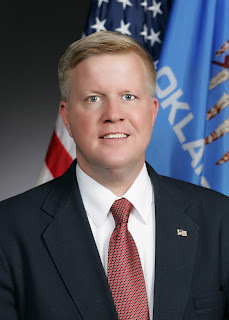 OKLAHOMA CITY (February 22, 2012) – Legislation approved by the House Appropriations and Budget Subcommittee on Education would “give teeth” to the School District Transparency Act, according to the bill’s author. Under House Bill 2644, by state Rep. David Brumbaugh, school districts and the Oklahoma Board of Education would lose funding if they fail to comply with the School District Transparency Act. The legislation authorizes the Office of State Finance to withhold administrative and support funds from the Oklahoma Board of Education if it does not include data on its website required by the School District Transparency Act. The withholding would be 1 percent of total appropriations for administrative and support functions and would increase by 1 percent for each subsequent month of noncompliance. If noncompliance continued after five months, 8 percent would be withheld. The legislation also increases the penalty for school districts not adhering to the Oklahoma Cost Accounting System. After five months of failing to adhere, the school district would have its state aid payment decreased by 8 percent for each month of noncompliance. House Bill 2644 now proceeds to the House Appropriations and Budget Committee for consideration. 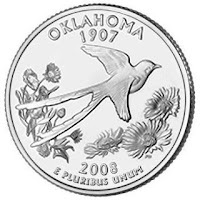 OKLAHOMA CITY (February 23, 2012) – Law enforcement officials and pharmacists will have an easier time identifying individuals trying to purchase pseudoephedrine illegally under legislation passed unanimously this week by the Oklahoma House of Representatives, according to the bill’s author. House Bill 2547, by state Rep. Jadine Nollan, will restrict the issuance of multiple identification numbers on driver’s licenses and other state-issued idenfication cards. Nollan said she worked with a local pharmacist, the Department of Public Safety and the Oklahoma Bureau of Narcotics to get the proper language in the bill. Nollan said the legislation will also help reduce identity theft. House Bill 2547 was approved by a vote of 92-0 and now proceeds to the Senate for consideration. OKLAHOMA CITY – The state Department of Rehabilitation Services (DRS) reluctantly issued an order, effective Tues., Feb. 21, at 8 a.m., to temporarily delay vocational rehabilitation and employment services to all new applicants until funding becomes available to pay for their services. Currently, 443 individuals are on waiting lists. Staff will continue to serve more than 18,000 individuals currently in the system, which last year helped 2,812 Oklahomans with disabilities become successfully employed. More than 22,300 Oklahomans have been served since Oct. 1, 2011. DRS previously opened waiting lists for categories of clients with less significant barriers to employment on Feb. 3 and Aug. 15, 2011. Before service delays began in August, DRS had experienced two years and three months with no waiting lists – the longest time in agency history. On top of $7.04 million in escalating medical costs for clients, state tuition increased significantly for DRS clients enrolled in Oklahoma colleges and universities. O’Brien explained that waiting lists are a cost control mechanism mandated under the federal Rehabilitation Act for vocational rehabilitation programs in all states at times when demand for services exceeds capacity. “In a sense, this is a cost control measure that right-sizes demand until funding and resources are available to serve more clients,” O’Brien said. The Rehabilitation Act does not permit DRS to cap or limit services needed by current clients in order to go to work. Instead, the agency must control costs and absorb inflationary increases in client goods and services by delaying services to new applicants. Current clients will continue to be served at the same level. Vocational rehabilitation and employment programs earn four federal dollars for every state dollar appropriated. “We are doing everything we can to end service delays, which are a temporary budget control measure, so that applicants with disabilities can start getting the help they need to go to work,” O’Brien said. DRS staff will continue to interview all applicants, gather diagnostic information and determine eligibility for the vocational rehabilitation and employment programs. When funds are available to pay for services, waiting lists will open first for applicants whose disabilities have the greatest impact on employment. Applicants will be served on a first-come, first-served basis, depending on their application dates. Approximately 656,619 Oklahomans, or 15.8 percent, ages 5 and over, have disabilities according to 2009 U.S. Census data. OKLAHOMA CITY – Today’s statements by Oklahoma City school officials regarding the State Board of Education’s ability to take over troubled schools, and recent comments by other administrators, indicates districts may be leaning toward filing a wasteful lawsuit that provides no benefit to children in failing schools, state Rep. Jason Nelson said. 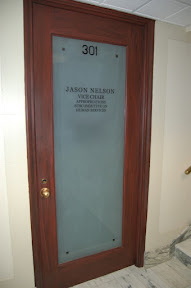 However, Nelson said there is another option. Senate Bill 264 contains the Allowing Local Administrators More Options Act, which sets up a partnership between local school districts and the State Board of Education. Under the plan a local school board may vote to submit a request to the State Board of Education for an exemption from nearly all statutory requirements and State Board of Education rules. Requests for the exemption must include a plan that contains the educational benefits of deregulation and the anticipated impacts or outcomes deregulation will have in the requesting district. The State Board must work with the requesting district to develop an acceptable plan. In the proposal, plans are approved for three years. The school district is required to submit annual reports to the State Board, which will assess the academic achievement and fiscal status of the school district. “I hope everyone involved will support this common-sense plan that benefits the students in these failing schools,” Nelson said. Senate Bill 264 is currently waiting on a vote by the Oklahoma House of Representatives. If passed the measure would go the governor. 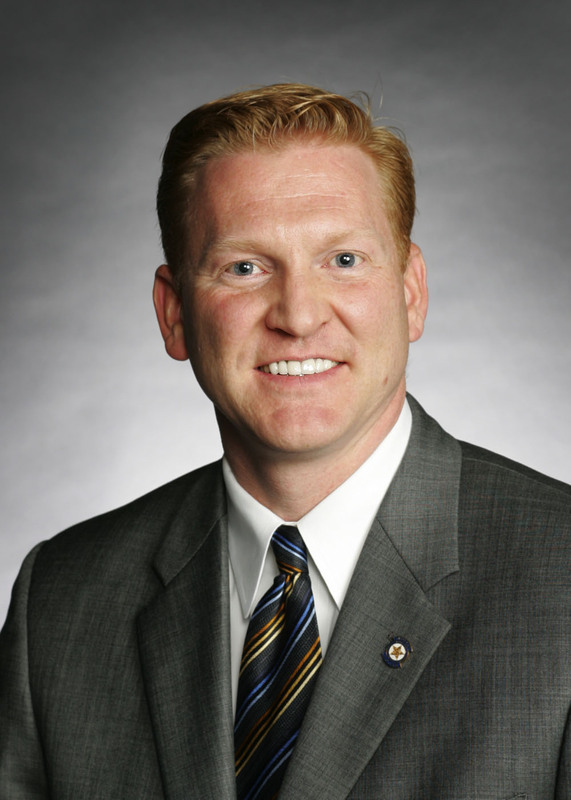 Oklahoma City schools Superintendent Carl Springer will hold a press conference at 8:45 this morning to discuss his opposition to a potential takeover of failing schools by the state Department of Education. I will issue a statement shortly after the conclusion of the press conference to suggest a solution which represents the best path forward. 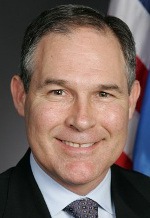 OKLAHOMA CITY – Attorney General Scott Pruitt joined attorneys general from Nebraska, Texas, Maine and six other states in a letter to U.S. Health and Human Services Secretary Kathleen Sebelius, expressing “strong opposition” to an upcoming health insurance mandate that requires religious employers to provide coverage for services such as sterilization that contradict their religious beliefs. The letter, sent to Secretary Sebelius, Labor Secretary Hilda Solis and Treasury Secretary Timothy Geithner, cites issues with the mandate’s policy implications, potential consequences for the religious employers and its constitutional conflict with freedoms of religion, speech and association as provided under the First Amendment. Attorney General Pruitt and the other AGs said they plan to “vigorously” challenge the unconstitutional mandate in court if not withdrawn by the federal government. For a copy of the attorneys general letter, go online to www.oag.ok.gov. OKLAHOMA CITY - Last week House Democratic Leader Scott Inman, D-Del City, announced his appointment of Representative Brian Renegar, D-McAlester, as the newest Assistant Floor Leader to the House Democratic Caucus. Rep. Renegar will assume Rep. Al McAffrey’s floor leader position. Rep. McAffrey was elected to the state Senate last week in a special election. OKLAHOMA CITY - The Oklahoma State Medical Association, the Oklahoma Osteopathic Association, and the Oklahoma Academy of Family Physicians all announced last Tuesday that they are taking a stance against proposals to make pseudoephedrine a prescription-only drug. Rep. Ben Sherrer has renewed his push to pass House Bill1235 which would make pseudoephedrine a Schedule III drug. The measure was introduced during the 2011 session at the request of law enforcement that was looking for a way to reduce the number of meth labs in the state of Oklahoma. House Bill 1235 could receive a hearing during this legislative session. Similar efforts last week in the Senate failed to gain the votes needed for passage. 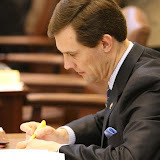 Sen. Kim David, R-Wagoner, joined Rep. Sherrer’s effort to make the tablet form of pseudoephedrine only available by prescription by introducing similar legislation this year. OKLAHOMA CITY - Last week Governor Mary Fallin outlined her 2012 legislative and policy agenda during a joint session of the Oklahoma Legislature during her State of the State address. “In 2011, the state of Oklahoma had a net increase of 41,600 jobs. “We know that a majority of the jobs created in the next decade will require either a college education or a career certificate from one of our Career Technology centers and that college graduates earn $1 million more over their lifetime than high school graduates. “Under current law, state agencies are required to submit a strategic plan that includes goals and proposals for increased efficiency and improved services. Unfortunately, these plans have not, historically, been carefully scrutinized. “The Oklahoma Tax Reduction and Simplification Act will immediately cut income taxes for Oklahomans in all tax brackets, simplify the tax code, and chart a course towards the gradual elimination of the income tax. “Oklahoma can and should lead the way in implementing energy efficiency measures that will save hundreds of millions of taxpayer dollars. “Unfortunately, [Oklahoma has] some of the worst bridges in the nation. 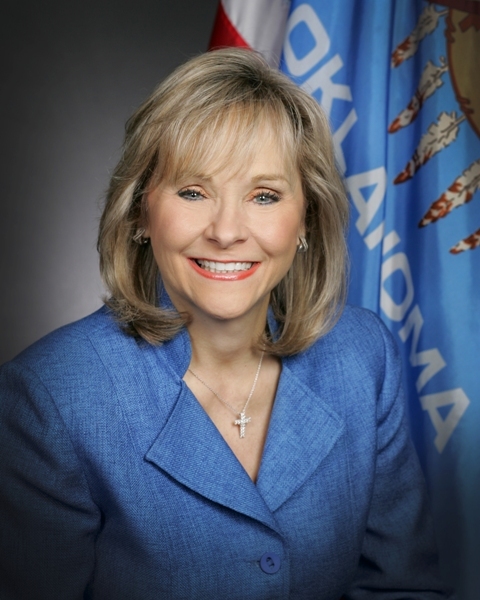 Click here to read the 2011 State of the State address by Governor Fallin. Senate Education Chairman John Ford is working to restore a $5,000 stipend to Oklahoma teachers who’ve completed National Board Certification. Ford said ensuring those educators get what was promised is a top priority in the 2012 session. Ford said National Board Certification is a rigorous program that takes teachers one to three years to complete. According to state statutes, those educators who have completed the process are to receive an annual $5,000 stipend for 10 years, if funding is available. Ford’s legislation would make it clear that eligible teachers would get their stipends, as promised. 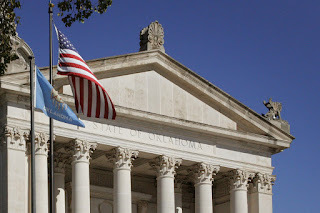 OKLAHOMA CITY – With Valentine’s Day this Tuesday, state lawmakers declared the importance of marriage to a stable Oklahoma last week, issuing a formal citation observing “Marriage Week” in the state. McCullough and state Sen. Gary Stanislawski (R-Tulsa) authored the citation in conjunction with National Marriage Week. One study, “The Taxpayer Costs of Divorce and Unwed Childbearing,” conservatively estimates the impact of divorce on state government (largely through public assistance programs) to be $430 million annually in Oklahoma. Research shows children from broken homes are 12 times more likely to be incarcerated, seven times more likely to live in poverty and three times more likely to be expelled and receive lower grades. They also are more susceptible to substance abuse and mental health disorders, McCullough noted. 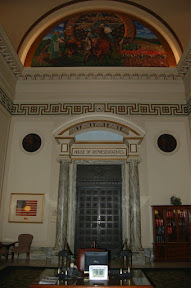 The 2012 legislative session started this week with Gov. Mary Fallin’s State of the State address, where she unveiled an ambitious agenda. The headline proposal was her call for significant tax reform. The governor’s “Oklahoma Tax Reduction and Simplification Act” would immediately cut income taxes for all Oklahomans and simplify the tax code. If approved, her plan would give Oklahoma the lowest income tax rate in the region aside from Texas. In the short term, her plan would reduce the number of income tax brackets from seven to three with lower rates for all. Our current tax structure technically taxes the first penny you earn at a 0.5 percent rate, and increases to 5.25 percent for families with taxable income of $15,900. Under the governor’s plan, starting next January, families with incomes of $30,000 or less would pay no income tax at all. Families with joint income of $30,000 to $70,000 would pay a 2.25 percent rate, and everyone above that level would pay a 3.5 percent rate. Under the proposed rates, a middle-class couple making $40,000 a year would pay 37 percent less in taxes next year. In the future, tax rates would be lowered another quarter-point every year the state experiences revenue growth of 5 percent until the income tax is completely eliminated. To pay for the plan, the governor called for eliminating tax loopholes, carve-outs and other exceptions, as well as achieving greater government efficiencies. The other big item in the speech was a plan to address Oklahoma road and bridge funding. For years, Oklahoma has topped the national “bad bridges” lists. However, only 413 of Oklahoma’s 706 structurally deficient bridges are currently scheduled for rehabilitation or replacement within eight years, leaving 293 bad bridges in place. Under Governor Fallin’s plan, Oklahoma will repair the remaining 293 structurally deficient bridges by 2019. To accomplish this goal, Governor Fallin’s budget restores an additional $15 million taken from roads and bridges in the past and raises the cap on the state ROADS fund from $435 million to $550 million. Bumping the incremental contribution will have a compounding effect that generates an estimated $479 million over eight years to fund our most pressing road and bridge needs. She also called for earmarking a larger share of motor vehicle collections to county roads. 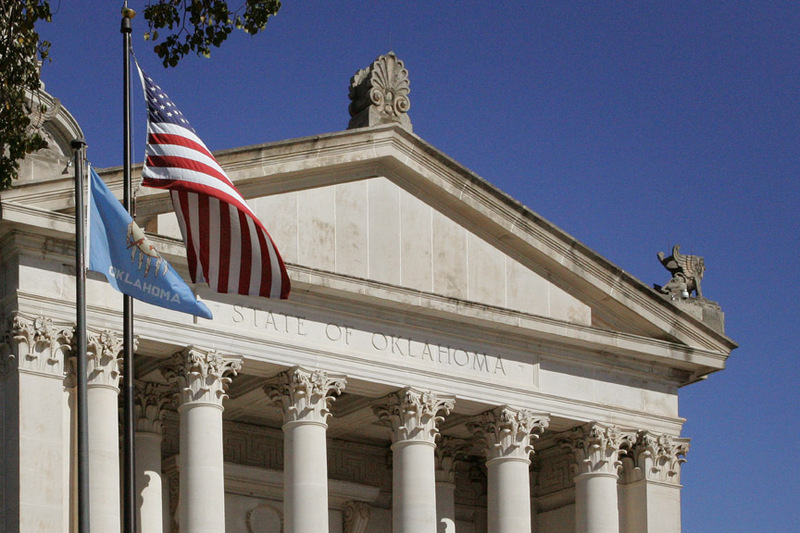 Today marks the beginning of the 2nd Session of the 53rd Oklahoma Legislature and the governor’s annual State of the State Address. The House and Senate will convene at noon in their respective chambers briefly before senators move to the House Chamber for a joint session to hear from Governor Mary Fallin. You can watch the Gov. Fallin’s speech by clicking the Watch or Listen Live icon on the right side of my blog page. I will do my best to tweet updates during the day including when the governor is about to speak. Additionally, some radio stations will carry the speech, including those on the Oklahoma News Network. I will post the text of Gov. Fallin's speech as soon as it is made available. A young Oklahoma couple has launched a new ministry inspired by their young son Kash who has special needs. Eric and Mykel McFall’s mission is to make churches aware of the opportunities and need to minister to families like theirs. 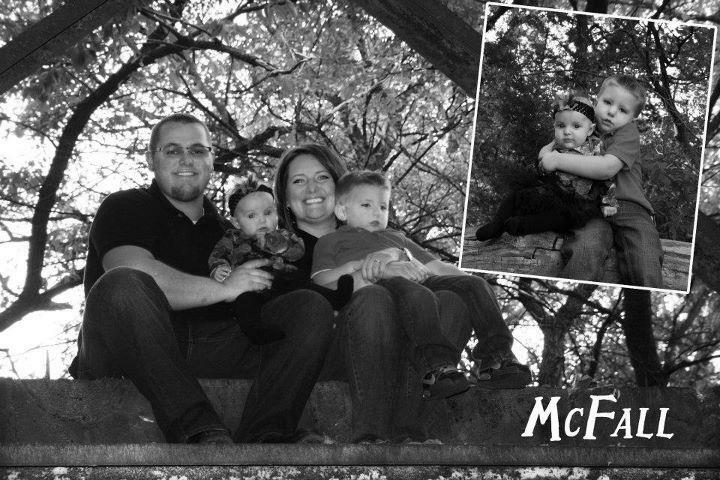 The Baptist Messenger highlights the McFall family in its February 2, edition. Training church and Sunday school leaders how to encourage and support parents of children with special needs is a particular focus of theirs according to their website. In the story Eric mentions the high divorce rate among parents with children with special needs. Oklahoma City -- The Oklahoma Commission for Human Services has announced that Terri White (link opens in new window) will serve as the Oklahoma Department of Human Services (OKDHS) interim director. The action is set to take effect March 1, 2012, and comes as the agency prepares to initiate a national search to replace Howard Hendrick, who recently announced his retirement. The Commission’s vote was unanimous. White, commissioner of the Oklahoma Department of Mental Health and Substance Abuse Services (ODMHSAS), will remain in her current position and stressed that she will not accept the OKDHS director’s post permanently. She said she was happy, however, to help in any way possible to find the right person for the position. She is slated to serve as interim director until the search is completed, a process expected to conclude no later than June 30, 2012. OKDHS is Oklahoma’s largest state agency with more than 7,000 employees and a budget in excess of $2 billion. “I am honored to have been asked to serve in this capacity,” said White. “This is an important time for OKDHS as the agency moves forward, and I am committed to doing all that I can to advance the department and ensure that transition to new leadership is a success. The Commission has moved swiftly to fill the interim role and is committed to finding an excellent candidate to fill the position permanently. Chairman Brad Yarborough says he is pleased to have confirmed White as interim leader of the agency. He is enthusiastic about the Commission’s decision and believes that her selection will be of tremendous benefit to the OKDHS during this time of change. “Commissioner White is doing a remarkable job at ODMHSAS,” said Yarbrough. 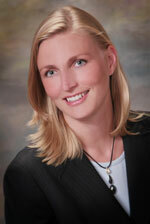 “That agency works closely with OKDHS and she is familiar with our operations and services. We join with other state leaders who feel that she is a perfect fit to move into this position during the short term and continue moving the agency forward in a positive direction. White said that the quality of services and the dedication of employees at ODMHSAS were instrumental to her appointment as interim director. White will split time between the two agencies and plans to work with key staff to ensure that operations run smoothly. Terri White was named ODMHSAS commissioner in May 2007 and has established herself as a passionate advocate for individuals experiencing mental illness and addiction. She has received national recognition for her role in advancing recovery and evidence based programs, technological innovations such as telepsychiatry and the integration of behavioral health care into primary healthcare settings. She was the first woman to serve as Oklahoma’s Secretary of Health, for former Governor Brad Henry, from 2009 to 2011; and, is a three-time honoree of The Journal Record's Fifty Women Making a Difference. As ODMHSAS commissioner, White oversees a statewide network of services dedicated to providing needed mental health and substance abuse services to all Oklahomans. Her agency has an annual budget of approximately $300 million, 1,800 employees and holds contractual relationships with over 100 private providers. Governor Mary Fallin today released the following statement on the appointment of Terri White. “Commissioner White has an outstanding record of service at the Department of Mental Health. Her experience, both in providing services to Oklahomans in need as well as in managing a large agency, will serve her well as the new interim director at DHS. I applaud the Commission for making a swift and bold decision to quickly find an interim director, as well as outgoing Commissioner Howard Hendrick for his support in the matter. OKLAHOMA CITY – Now that many lawmakers are calling for a freeze on judicial pay and the salaries of all statewide officeholders, state Rep. Jason Nelson said it’s time to also freeze school superintendent salaries. In a recent report, Oklahoma Watchdog found that 356 Oklahoma district superintendents (more than two-thirds) received some form of compensation increase this year. The combined expense of those raises was an extra $1.4 million annually (http://oklahoma.watchdog.org/2535/did-your-superintendent-get-a-raise-this-year/). Oklahoma Watchdog found that 37 of the superintendents receiving raises oversaw districts placed on the State Department of Education’s “Needs Improvement” list and 16 of those individuals received raises of $5,000 or more (http://oklahoma.watchdog.org/2592/majority-of-districts-on-needs-improvement-list-gave-superintendents-more-money/). The Board of Judicial Compensation recently recommended pay increases for judges. Since the compensation of judges and statewide officials is linked, both would get a raise under that proposal. State Rep. Scott Inman, leader of the House Democratic caucus, has been one of the most vocal critics of potential pay increases for statewide officeholders even though none of those officials could receive a salary increase during their current term in office. 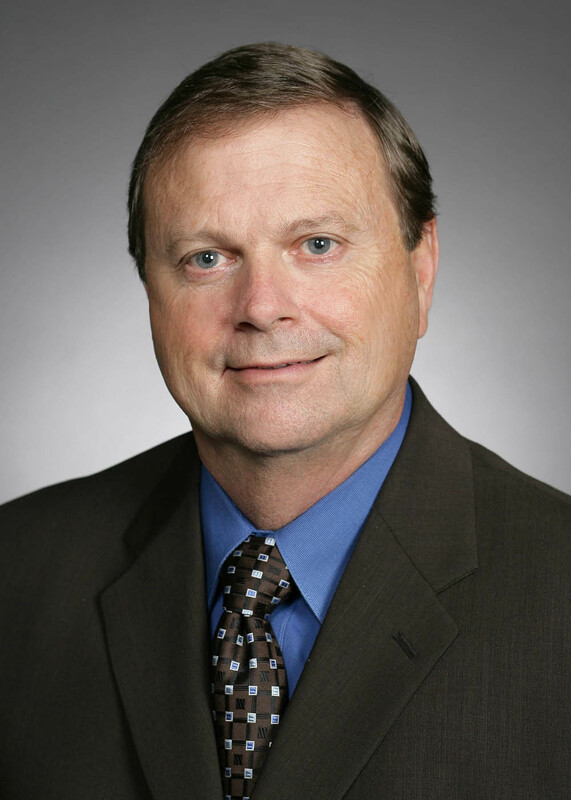 Nelson said the Del City lawmaker should now join him in opposing superintendent pay raises. Last year, Nelson filed House Bill 1746 to require schools to spend at least 65 percent of funds on direct instructional activities within three years. That bill included a provision that would have prevented superintendents from furloughing teachers without first having their financial plan reviewed by the State Board of Education so that classroom teachers would be protected. Nelson praised State Superintendent of Public Instruction Janet Barresi, who announced she would not accept a pay raise when the issue was first raised this month.